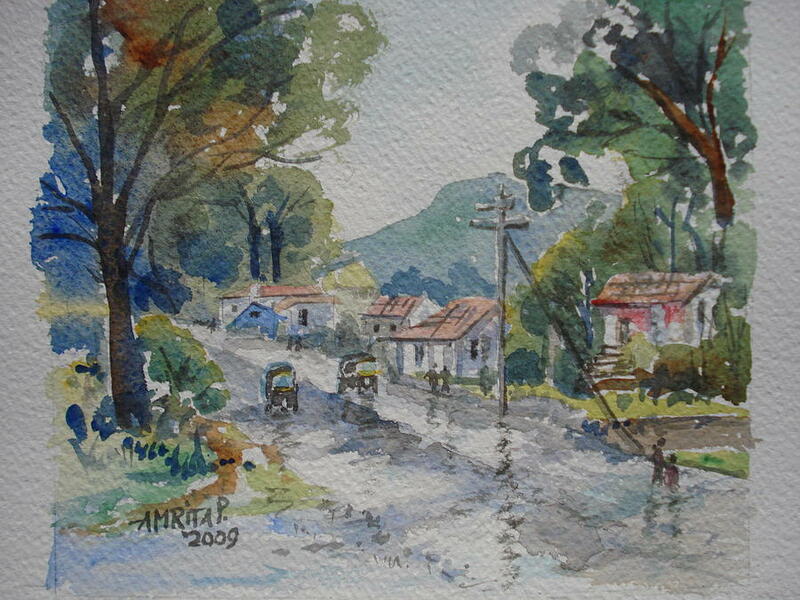 Towards Mora Port is a painting by Amrita Puntambekar which was uploaded on January 13th, 2010. This painting gives a small town feel. This is a small village which one passes through while approaching the Mora port, near Uran. It had just rained and the scene was beautiful. The slithery road, some puddles,...some reflections too! That's lovely ...real sultry feel !